Warfare History Network » Outlandish D-Day Invasion Tales: Paratrooper Raff: Tank Commander? HomeDailyWWIIOutlandish D-Day Invasion Tales: Paratrooper Raff: Tank Commander? To Colonel Edson Raff, jumping out of a plane was 'like getting out of the bed in the morning.' So why was he commanding a tank regiment on D-Day? America’s most experienced paratrooper, Raff earned his jump wings while the airborne battalions were still being formed. He commanded the Allied landings in North Africa in 1942, the first airborne operation of World War II. So why in the world was Raff commanding a tank regiment on the day of the Normandy Invasion? To understand Raff’s bizarre role in the D-Day landings, it’s important to note the events leading up to the invasion. During Raff’s second parachute drop in the war, he clashed often with British General Kenneth Anderson. Eventually, Raff’s defiance of Anderson became a hallmark of his personality. He cared little for superiors who didn’t share his vision of attack. This bitter attitude also extended to Maj. Gen. Matthew Ridgway. After a disagreement about paratrooper deployments, Raff blew up and accused Ridgway of surrounding himself with yes men; Ridgway, in turn, immediately disliked Raff and his brusque mannerisms. Prior to D-Day, Ridgway was busy preparing the 82nd Airborne for its future role at Utah Beach. The invasion plan called for 82nd and 101st Airborne Divisions to parachute into Normandy at midnight: their mission was to secure vital bridges and roads and to wreak as much havoc in the enemy’s rear as possible. But in the midst of the confusion, the U.S. 4th Infantry Division was to assault the beach and push inland to link up with the two airborne units. However, Ridgway knew that once his lightly armed paratroops captured the nearby towns, the Germans would try to retake them. He knew he needed big guns and armor to hold the town. So, Ridgway put Raff in command of an armored task force and ordered him to hit the beach and race for Ste. Mère Église, where he would give the paratroopers the extra punch they’d need. He was also to secure an open field designated Landing Zone W, where a flight of American gliders were to secure the airfield and protect it from German crossfire. Raff was pissed. He called Ridgway a “conceited, self-centered narcissistic man,” who had almost no use for him. “God help us if we get into combat under him,” he said later. But was Ridgway putting Raff in charge of the armored force as a punishment, like Raff suspected? Or was it something else? More likely, Ridgway knew that Raff had led his own ragtag armored force in North Africa. Ridgway had probably also read Raff’s memoir and was hoping the cantankerous commander could recreate the same successful strike force he led in Tunisia. So how did Raff’s armored force do in its mission? After a series of attacks and obstacles, Raff’s entrance into Ste. Mère Église was surprisingly anticlimactic. The men of the 401st Glider Battalion were delighted to see them, but there was work to be done. The next day, Task Force Raff was disbanded. So, what to do with Raff? Ridgway knew he couldn’t send him home; at this point, he was too much of a celebrity and valued combat veteran. The answer came later, on June 22, when the commander of the 507th Parachute Infantry Regiment was killed in combat. 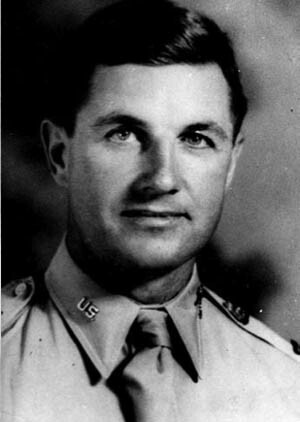 Ridgway placed Raff in charge of the unit and then transferred it to the 13th Airborne Division. Pleased to be well enough away from Ridgway, Raff breathed new life into the 507th. He commanded the unit well during the Battle of the Bulge and became the first American paratrooper to jump into Germany on March 14, 1945. Ridgway, for his part, went on to command the XVIII Airborne Corps and led it successfully for the rest of the war. Tags Battle of the Bulge, D-Day, Edson Raff, Nazi Party, Normandy Invasion, north africa, Tunisia, Utah Beach.